Spring is here, which means Outreach to Teach (O2T) is here, too! 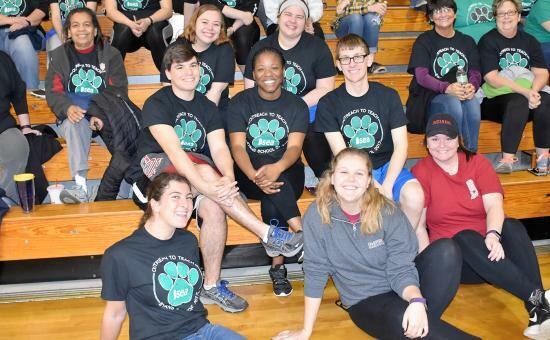 O2T is the Indiana Student Education Association’s (ISEA) annual service project that takes place each spring. Have you ever seen Extreme Home Makeover? This is ISEA’s version, but school edition! This year ISEA will renovate Sunny Heights Elementary in Warren Township. In partnership with education community members, students will spend Saturday, April 7 cleaning, painting, decorating, landscaping and so much more for Sunny Heights Elementary. This school was built in 1993, and over the years, it has received extensive wear and tear due to increased enrollment and the addition of kindergarten students. With a free and reduced lunch rate of about 85 percent, this elementary school certainly deserves a helping hand. ISEA needs volunteers and donations! ISEA is very excited about this opportunity to help make Sunny Heights even better, and you can make that happen! Join ISEA as a volunteer or donate to this great cause! For more information, contact either the ISEA O2T co-chairs Savannah Harrison at snharrison15@my.trine.edu or Molly Wolfe at wolfeme@uindy.edu, or the ISEA state coordinator Angela Miller at amiller@ista-in.org.